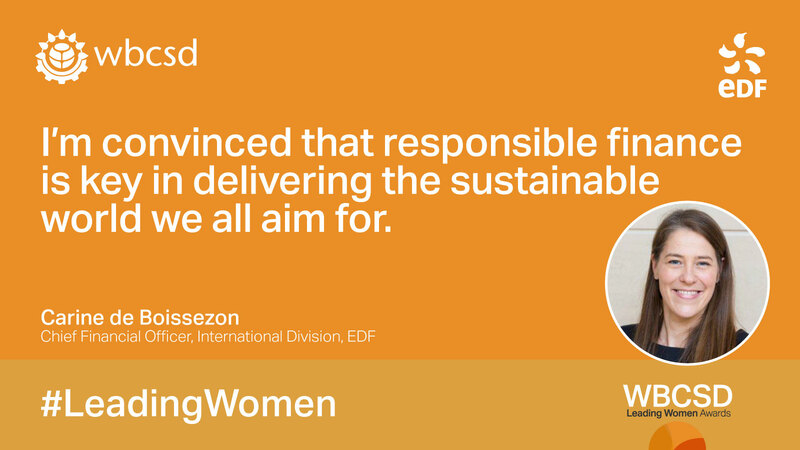 Carine is the Chief Financial Officer of EDF’s international division. Putting responsible financing at the core of EDF’s investment decision, she is notably promoting the launch of off-grid home solar solutions in Africa with an ambition to reach 3 million customers by 2020. Prior to this position, Carine was EDF’s Head of Investors & Markets, and convinced internal stakeholders to launch EDF’s first Green Bond in 2013. It became the standard in the market and attracted strong recognition and won numerous prizes, including GlobalCapital Best Green Bond Issuer in 2014. EDF has since issued three additional Green Bonds, with a combined issuance of more than 4 billion euros, which allowed to fund 16 projects as of the end of 2016, with 4MtCO2/year avoided. Carine started her career at Morgan Stanley in London as a Utility research analyst and won top rankings in the Institutional Investor Survey Pan-European Utilities Team in 1999. She is active in several boards internationally – in Brazil and in Poland and in project companies, such as Nachtigal Hydro Power Company in Cameroon. Carine is a graduate of the Ecole Supérieure de Commerce de Paris (ESCP). Married with 4 children, she is active in promoting diversity, most notably by supporting handicapped persons, both at EDF and outside.